Renting a dumpster in Westwood will make a cleanout or construction project easier and faster. Some items can not go into the dumpster or have a surcharge. 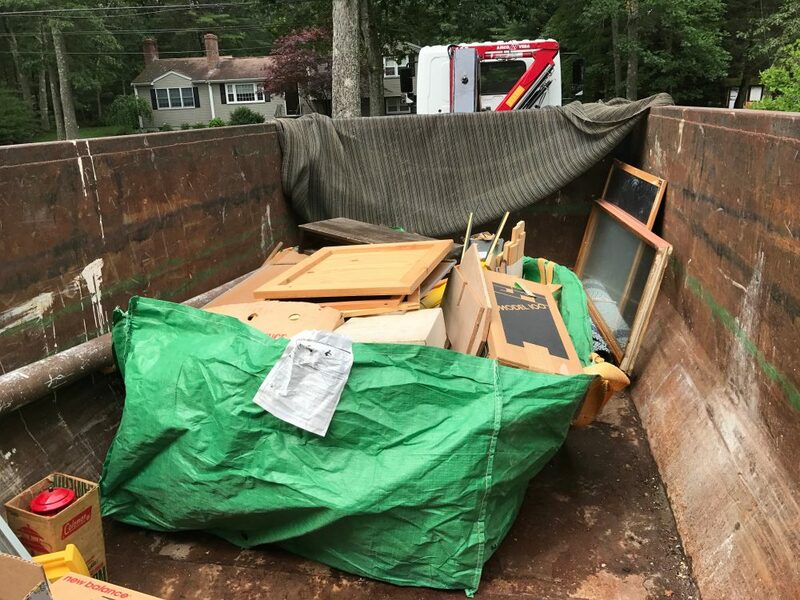 The Town Of Westwood offers residents a few options to help get rid of MA Waste Ban Items that are not allowed in the dumpster or have a surcharge. The town of Westwood offers Household Bulk Collection week two times a year. The first week is the week of October 14, 2019 with March 23, 2020 being the second week. During these weeks, each household is allowed to put a bulk waste item out with their regular scheduled trash free of charge. No appointment is necessary. Items can include a couch, rug, mirror, mattress, boxspring, etc. Please be aware that there are some items that are not permitted -such as washers, dryers, TVs, etc. Please see the Westwood MA Recycling page for more information. On May 4, 2019 the Westwood Environmental Action Committee (WEAC) and Town of Westwood DPW will hold an electronics recycling event at 50 Carby St, westwood, MA from 8am-12pm. The first Leaves and Yard Waste collection week of 2019 will be April 8-12th. Debris must be in paper leaf recycling bags or loose in barrels marked “leaves”. Debris in plastic bags will not be picked up. Barrels and bags should be out at the curb by 7am. No large branches, limbs, or brush allowed.